snow pea recipe | eating with S.O.L.E. Enter your email address to follow my blog & receive notifications of new yummy posts by email. 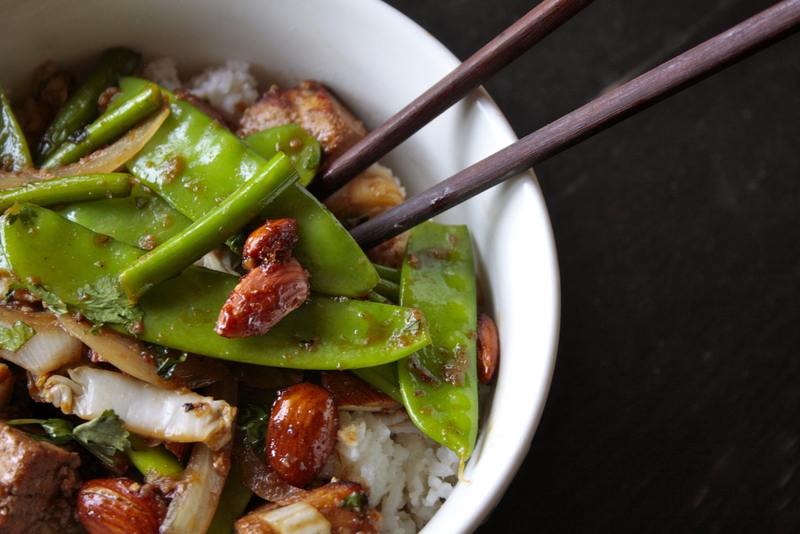 Freshly picked snow peas are perfect in this spicy bowl of early summer flavors! Crunchy Asian cabbage from Ravine Creek Farm, organic SilverKing Tofu, along with fresh from the garden cilantro, snow peas, and garlic scapes all cooked up in a chili sesame sauce. This is the perfect meal for a summer time patio dining.